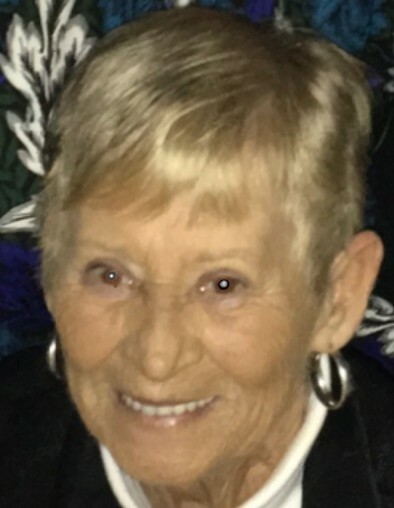 Patricia C. Smith wife of Harry W. Smith and lifelong resident of Hardeeville died March 28, 2019 at Memorial Medical University in Savannah, Georgia at the age of 74. Patricia was born in Ridgeland, SC on September 14, 1944 and was the only female of six children born to the late Clayton Collins and Thelma Blackstone Collins. She was predeceased by her brothers, Cecil, Billy, Gene and David Warnell Collins. Patricia loved her nieces and nephews as her own children and enjoyed her many friends. She and Harry lived a happy and wonderful life together. In addition to her husband of 49 years, she is survived by her nieces and nephews. The family will receive friends beginning at 2:00 pm, Sunday, March 31, 2019 at Sauls Funeral Home, 310 W. Adams Avenue, Ridgeland with a funeral service to follow at 3:00 pm. Burial will follow at Purrysburg Cemetery, Hardeeville, SC. In lieu of flowers, the family has requested donations to the Ridgeland Nursing home in honor of her husband, Harry W. Smith.